We are proud to distribute the 1KW Vertical Axis Wind Turbines from Urban Green Energy (UGE). 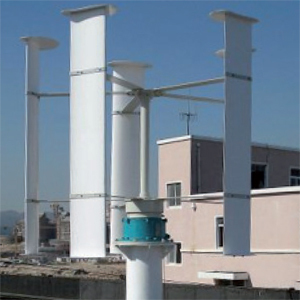 The 1KW Vertical Axis Wind Turbine can be used in any area of good wind resource. Whether on the roof of a residential or commercial building or in a rural setting, the wind turbine provides reliable electricity for its owner. The system includes the wind turbine and controller. The customer can choose to also include the tower and/or the off-grid or grid-tie inverter. Towers for different applications are available, as well as components that meet all local utility requirements. 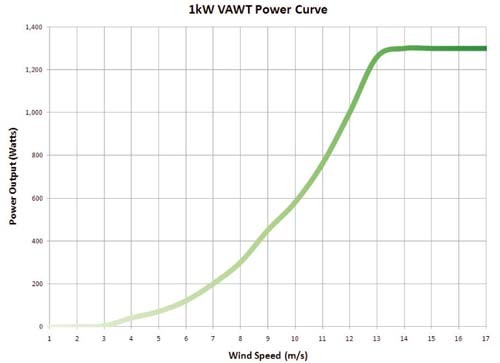 Owners of the 1KW Vertical Axis Wind Turbine that choose the off-grid inverter may also choose to add batteries for power storage for times when wind speeds are low. Vertical Axis Wind Turbines offer many advantages over traditional Horizontal Axis Wind Turbines. 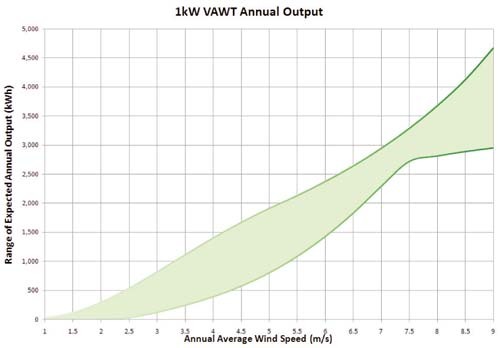 Not only will the Vertical Axis Wind Turbine achieve higher average power output in areas where turbulent winds are present, but it is also significantly quieter than Horizontal Axis Wind Turbines. As a result, Vertical Axis Wind Turbines work well on rooftops, making them particularly useful in residential and urban environments. We supply components such as the grid-tie inverter based on local utility specifications to ensure that your wind turbine will qualify for state incentives that may apply. Your local distributor or the Database of State Incentives for Renewable and Efficiency (DSIRE) can help you better understand what incentives you may qualify for.